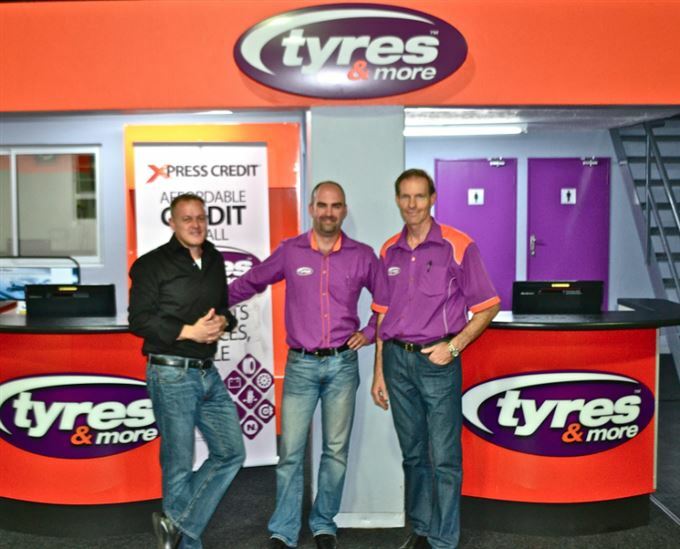 As stores under the new Tiger Wheel and Tyre brand “Tyres & More” are rolling out nationwide, the Randpark ridge store held an open evening to celebrate, inviting clients and suppliers to experience the store. David Barendse of Garage Trade Supplies proudly equipped the store with all of their tyre service and lifting equipment. Fred Scheepers of Tyres & More explained how the expansion of the traditional TWT range of services will include brakes, shocks, batteries towbars and more.